An ode to the great fish of the ocean and the men who hunt them. Hemingway, in his stoic and matter of fact way, brings to life the timeless battle that rages between great fish and the men who chase them. 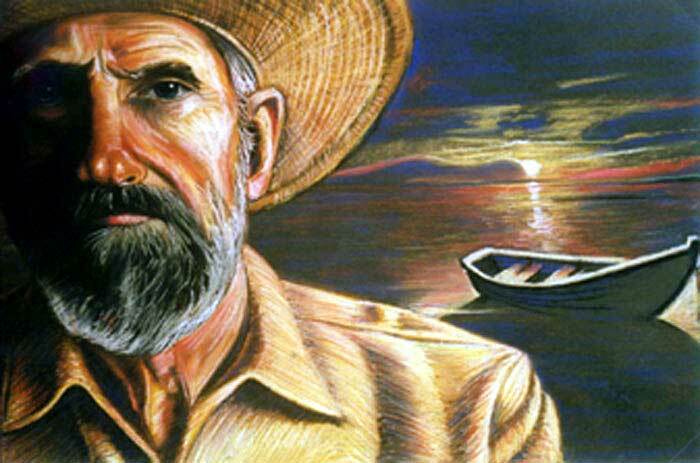 If you are not a fisherman/woman some of the quite truths of this story may pass you by, nevertheless, Hemingway rejoices in the loneliness of the chase and the isolation that a solitary experience can bring. If you want to read a prize winning Hemingway you can’t go past ‘the Old Man and the Sea’. Recommended particularly to fishermen who enjoy good writing. It was a fight to the death and death was welcome for the battle was grand and the story worth telling.